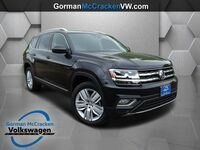 Upgrading to an SUV is frequently about convenience. You want a vehicle that has plenty of storage spaces, is easy to enter and exit and has enough space to keep everyone happy. 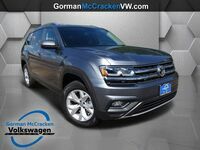 Volkswagen knows this, which is why the 2019 Volkswagen Atlas has all the right details to make the model shine. 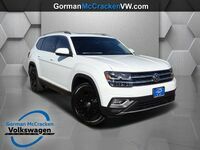 For the 2019 model year, the Atlas comes to Longview TX with a new assortment of trims, include two R-Line variants that have a sportier aesthetic without giving up any of the premium features found in the standard trim equivalents. 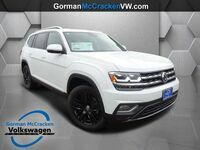 In addition to these new trims, and the removal of Launch Edition options from 2018, the 2019 Volkswagen Atlas also has some new standard driver assistance features to make it safer during those split seconds when many of us get distracted. Sometimes the most complicated aspect of finding the perfect vehicle isn’t narrowing down your top model choices, but picking which trim is right. 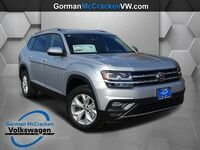 The 2019 Volkswagen Atlas comes in seven total trims: S, SE, SE w/ Technology, SE w/ Technology R-Line, SEL, SEL R-Line, and SEL Premium. The S trim is the only option that has the 235-horsepower 2.0-liter turbocharged 4-cylinder engine. All other trims feature the 276-horsepower V6 engine. 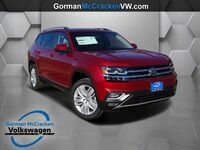 Also noteworthy is the fact that all models have standard front-wheel drive or available 4Motion AWD, but the 4Motion system is only paired with the V6. The exception to this is the SEL Premium, which does have the AWD system as a standard configuration. The big news for the 2019 model year is that Front Assist, Blind Spot Monitor, Rear Traffic Alert, automatic headlights, heated side mirrors and rain-sensing windshield wipers are all standard. This creates a higher value for the standard model and driver assistance features provide visual and audible alerts to help prevent collisions. 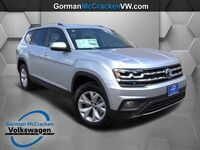 Those seeking a higher-end trim will also take note that the SEL gains the Volkswagen Digital Cockpit, Media Control, LED taillights, Discover Media navigation and a heated steering wheel – all features previously reserved for the SEL Premium trim. 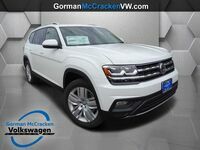 Need help narrowing down your 2019 VW Atlas options? 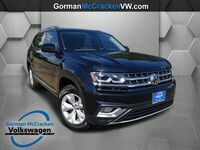 Stop by Gorman McCracken Volkswagen for a test drive.